Home » Uncategorized » New Maury C. Moose Book! The latest Maury C. Moose book is coming soon! 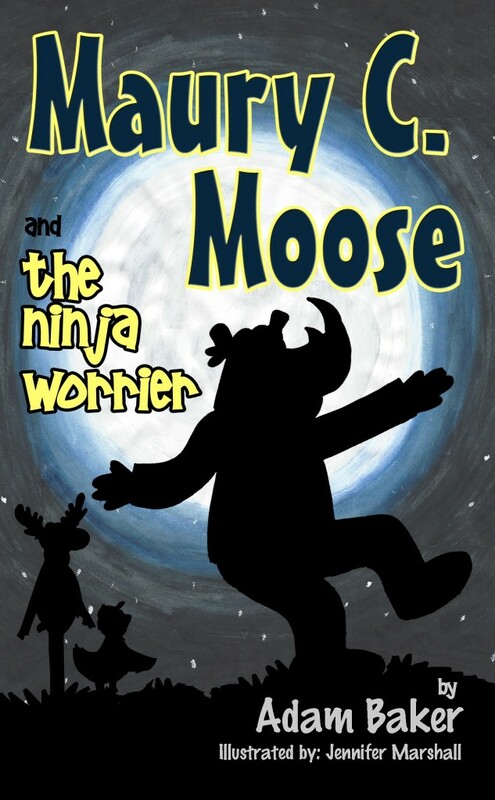 Titled Maury C. Moose and The Ninja Worrier, the third story in my children’s book series will be released this month. In the new book, Maury & Mikey must help out a new friend whose size & strength suggest he is destined to become Forest Noel’s next great warrior. But there is just one little problem. This wannabe ninja is afraid of his own shadow…and his dad’s! The third book in the Maury C. Moose series continues its fun use of parody, puns, and rhymes to teach kids that we all have talents that make us unique. Join Maury and friends as they learn how to find those special talents.